To begin, Shea’s style is intense and active. It reminds me of Mickey Spillane’s Mike Hammer series. 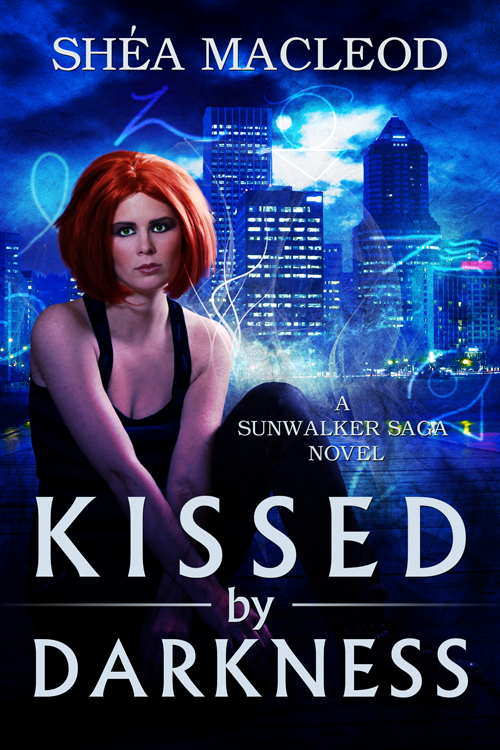 Kissed by Darkness hits the ground running and doesn’t stop until the end. Morgan Bailey is a street wise detective who takes on the cases nobody else wants or dares to take. A girl with lightning reflexes and superior instincts, Morgan is, none the less, all too human. Danger haunts her, exhaustion plagues her, and the supernatural is ever close at hand. The plot seem almost predictable, until you get in a chapter or two, then it’s “What the heck?? ?” Where is she going with this? Everywhere you don’t expect, that’s where. There are more than enough twists and turns of plot here to keep any reader guessing. My one complaint is the ending is an obvious set up for the sequel. However, book two in the trilogy is due out in a few weeks, there’s just enough time to read (or re-read) Kissed by Darkness before it hits. LOL, Shea. I think that's fair ball when you have rapid-fire releases like this. And Prudence, I couldn't agree more that this book rocked!